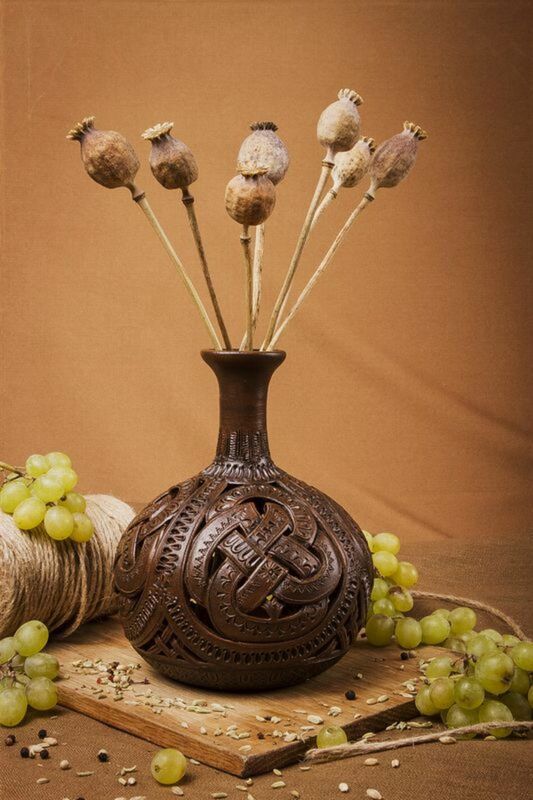 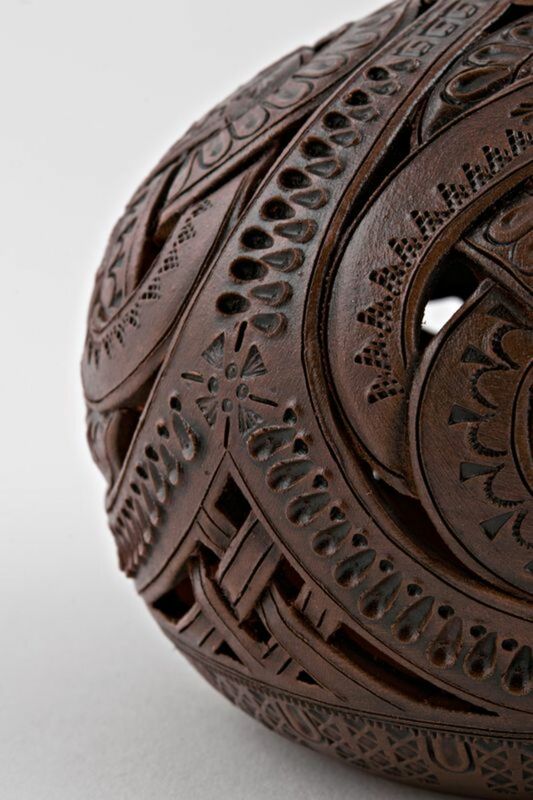 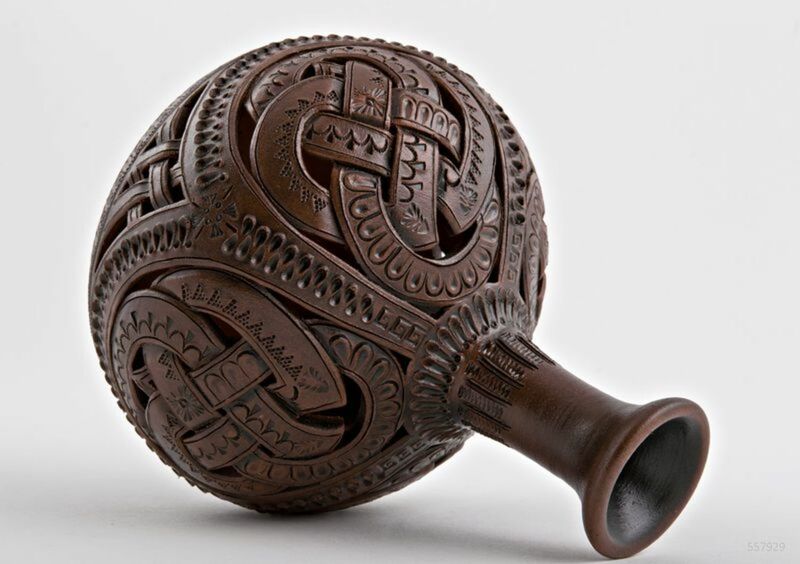 Decorative vase is made ​​of a special type of clay - terracotta. 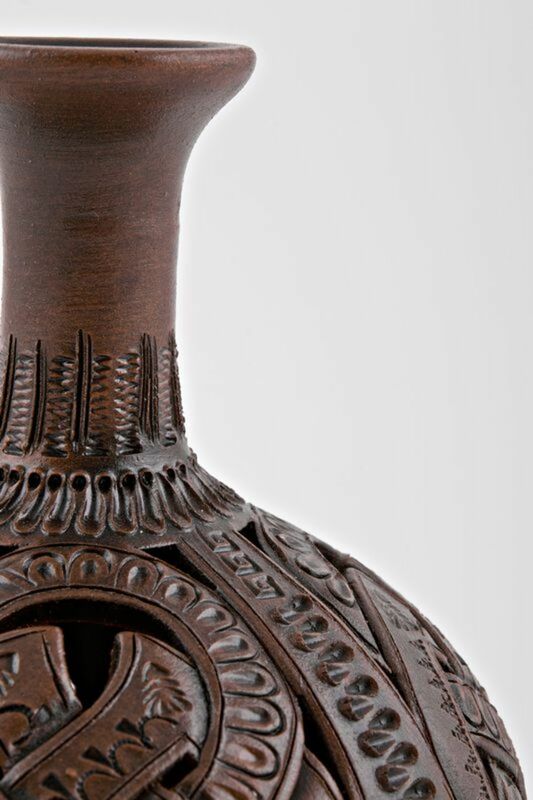 The product is tinted and decorated with author&apos;s pattern. 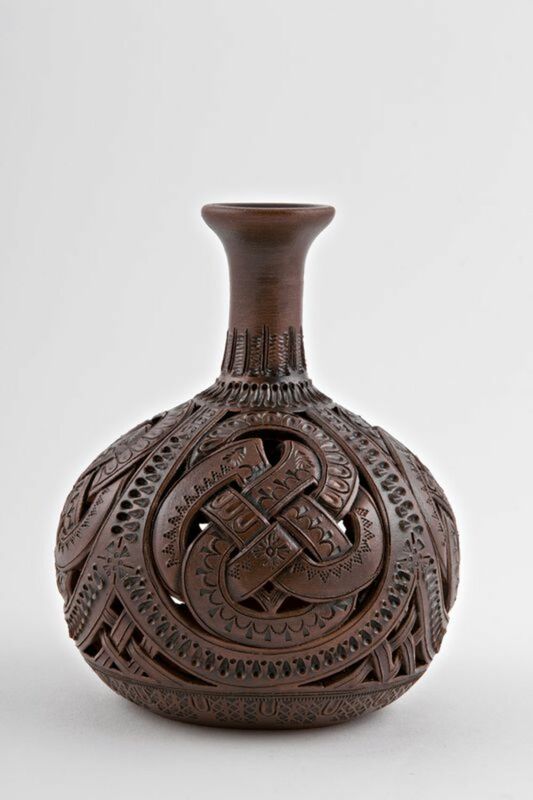 Put the openwork ceramic vase on the coffee table, and it will make the living room more cozy and festive.